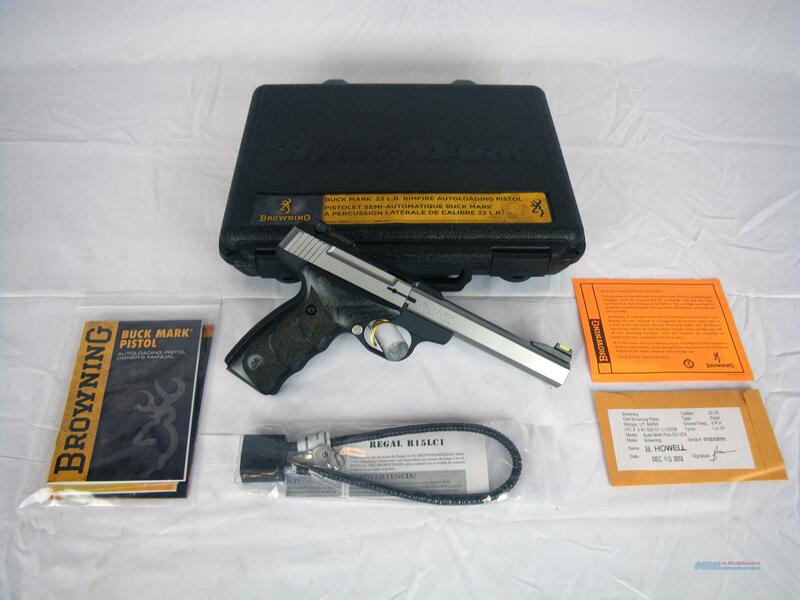 Description: You are bidding on a Browning Buckmark Plus Stainless UDX in 22lr with a 5.5" barrel. The Buck Mark Plus UDX stand apart from the rest of the Buck Mark pistol line, focusing not just on accuracy and function, but accencuating the look and feel, giving you a premium semi auto 22 pistol. The grip frame is machined with finger grooves that match up to the textured wood laminated grips. The slab side barrel has highly polished flats for a highly attractive accent. The TRUGLO/Marble Arms front fiber-optic sight gives superior target acquisition even in low light conditions, and you can dial it in tight with the Pro-Target adjustable rear sight. This handgun weighs 34oz. Displayed images are stock photos. Any questions please feel free to ask (our phone number is in the additional information tab above).